The futures foundation first reviewed Stewart Brand’s book “The Clock of the Long Now” when it came out in 1999. 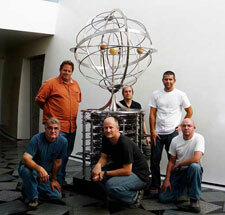 The actual clock is now being constructed in the USA. nd occasionally it will ring itself when no one is around to hear it. It’s anyone’s guess how many beautiful songs will never be heard over the Clock’s 10 millennial lifespan.